The amusement park, with over 60 attractions including 8 rollercoasters, is the largest in Hokkaido. The park includes a park-golf course and other great activities. At the Rusutsu Sangyo Matsuri (produce festival) held in late August, the village is filled with stalls selling vegetables and Rusutsu pork. The festival is held in early September and hosts a popular song show and live band performance. all-you-can-eat BBQ, delicious produce market, stage shows and prize raffle. The largest ski resort in Hokkaido, with a total pistelength of 42km! A mega ski resort covering 3 mountains: West, East and Isola. 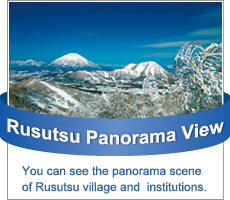 At Rusutsu Furusato Park, you can try ‘snow rafting’ – a rubber boat pulled by a snowmobile.